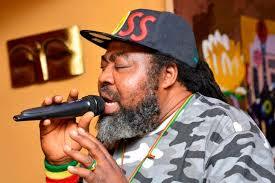 Ekeleke Elumuelu Onwubuya, the Nigerian musician better known as Ras Kimono, is dead. He reportedly died at a hospital in Lagos on Sunday morning. Kimono dominated the music industry in Nigeria in the late 80s. “Under pressure”, his debut album brought him into limelight. Among the hits in that album were “Rasta get jail” and “Rum-Bar Stylee”. He “disappeared” from the scene after travelling to the US, where he spent six years. Kimono later admitted that his sojourn in the US had a negative impact on his music career. “It is true that my career was affected negatively when I travelled and stayed in the US for about six years. I thank God that I had made my marks already in the industry before I travelled,” he had told PUNCH. He started out his career as a student at Gbenoba Secondary School, Agbor, Delta state and later as a member of the Jastix Reggae Ital. Majek Fashek, Amos McRoy Jegg and Black Rice Osagie were also members of the group.